According to his enlistment papers Allen was born c. 16th July 1894, the son of Ralph (Stonemason) and Annie Elizabeth Redfern, of 26 Byron Street, Buxton. 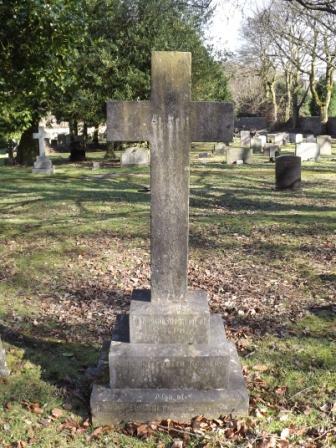 However, baptism records from St John's Church, Buxton, show that he was born on 27 October 1894. 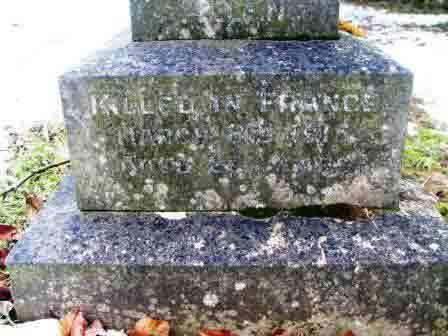 Allen had an older brother William, and three younger siblings, Frances, Oswald and Gladys. (1901 Census RG 13/3269) By 1911 Allen was working as a "Printer" ('Derbyshire Printing Company') and five more children had been added to the family, Lilian, Annie, Ralph, Ernest and George Joseph. (Census RG 14/21242) - still at the same address, with 10 children still living there. It is perhaps not surprising that Allen decided to join the Army just a few months later. He was 5' 5" (1.65 m) tall. "The Buxton Advertiser", 20th March 1915, when reporting his death said that at the time of his enlistment Allen was employed by the General Post Office Telephone Company, and that he: "... was a very cheerful fellow and had the happy knack of affecting others with his bright spirit. This will make his loss more keenly felt." 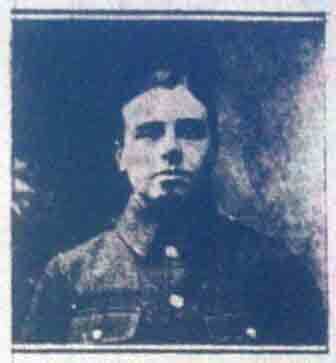 Allen enlisted into the 6th Battalion at Buxton on 22nd August 1911, stating his age as 17 years 1 month. However, (see above) he had slightly 'adjusted' his date of birth and was, in fact, only 16 years 10 months. 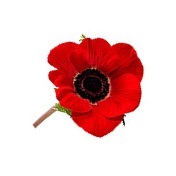 At that time the Battalion was a Territorial Force Battalion, and he was probably in 'C' Company (Ashbourne and Buxton). His Service Papers shows that between 4th - 28th August 1912, and 27th July - 19th August 1913, he attended training camps at Abermarle and Clumber Park, respectively. On Sunday, 26th July 1914 the Battalion went into camp at Hunmanby on the Yorkshire coast, for its annual training, War was already imminent, with Austria having declared War on Serbia just the day before. A week later on Sunday, 2nd August, the History (see below) records that it "... was naturally a day of very real suspense and uncertainty." The following day orders were received from the War Office that training was suspended and all units were to return to their local bases. At 7.00 p.m. on the day the German Army crossed into Belgium - 4th August 1914 - the order was received to "Mobilise". On the second day of mobilisation the men of the 6th Battalion from Bakewell, Staveley, Clay Cross and Wirksworth, plus the Buxton half of "C" company, including Robert, marched into Chesterfield, to be billeted at the Drill Hall and Chesterfield Central Schools. The Battalion Colours were lodged in St Mary's Church (The Crooked Spire) prior to its departure from Chesterfield. On the outbreak of War Allen, in keeping with all Territorial Force soldiers, was given the option of volunteering for service overseas. The 6th Battalion's percentage of volunteers was 98%. On the 10th August 1914 they marched out of Chesterfield with Lt. Col. J M Clayton at the head, and proceeded via Ripley, Derby and Luton, to Harpenden, where training began in earnest. Allen was promoted to Lance Corporal on 21st November 1914 and this coincided with a move to Great Dunmow, Essex, to counter the threat of invasion. Allen's Medal Index Card confirms that he sailed for France on 28th February 1915. He was killed in action barely a week later, on the 8th March on the "Somerset Light Infantry Ground", and buried at Ploegsteert Wood Cemetery. "Passing through Bailleul the Battalion took over billets at Oostroove Farm in the immediate neighbourhood of Ploegsteert and was here attached to the 11th Brigade, and was passed on by wings to be instructed in trench duties to different Battalions of that Brigade, Headquarters and "A" and "C" companies being attached to the 1st Btn Somerset L.I, and "B" and "D" to the 1st Btn Rifle Brigade for a three day course of instruction; and on the 8th the Battalion suffered the first fatal casualty of the war; Lance Corporal A. Redfern of "C" company, a Buxton man, being killed while on duty with a working party behind the lines." "The Buxton Advertiser", 20th March 1915, reported that: "We understand that Redfern was engaged in laying communication wires, and whilst resting became the object of a German sniper." His peacetime occupation - see above - no doubt contributed to his Battalion appointment in laying telephone communications. 1 Gospel of St Luke; 1 Packet of Photographs; 1 Active Service Testament, and 1 Packet of Potters". lists the "Roll of Left “C” Company - 1/6th Battalion".